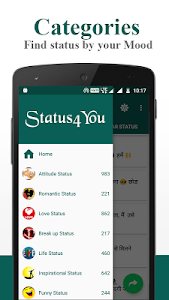 Completely FREE app with latest collection of best statuses and quotes for setting as your status. Setting good statuses gets increased likes on your wall posts. 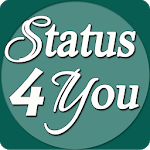 If you are looking for a nice, crazy, cool, funny or amazing status your search ends in this status and quotes app. 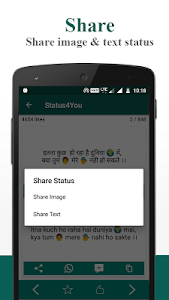 ✔ Share feature for direct status upload. ✔ Daily new update Status. ✔ Completely Free to download. 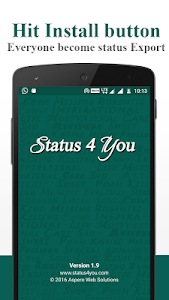 ✔ Works offline and has status quotes for all occasions. ✔ latest collection in over new categories. ✔ Copy feature to copy and paste the statues. 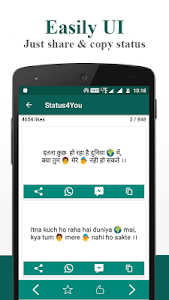 ✔ Share statuses via other applications. ✔ beautiful user interface and Quick response slow internet connection. 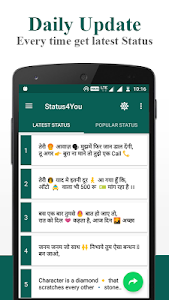 * Our creative statuses and quotes for all occasions are best for frequent status shuffle. * Share the sad hurting feelings of heart with best friends via sad statuses and miss you quotes. * Make your boyfriends smile by sharing a hilarious and funny status. 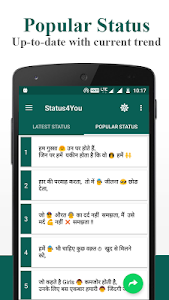 * Impress your girlfriends with romantic love statuses and quotes. 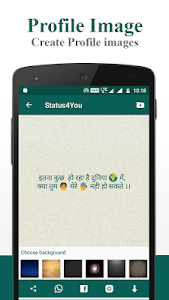 * Quotes status texts are available in English, Hindi languages. Welcome to update to version 1.9 More exiting new features you can find out as following. 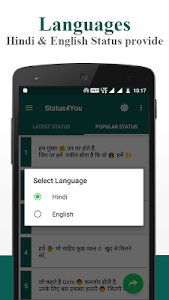 Similar to "Status 4 You Hindi English"